WASHINGTON, DC, October 12, 2011 (ENS) – By a wide margin, voters of both political parties and in all regions of the United States disagree with Congress’ anti-Environmental Protection Agency agenda and support the EPA’s new rules to limit air pollution from coal-burning power plants, a new, nationwide public opinion poll shows. Two-thirds of the respondents – 67 percent – oppose Congress delaying implementation of the air pollution rules, according to the survey of 1,400 voters conducted in the first week of September by Hart Research Associates and GS Strategy Group. The poll gauged voters’ feelings about two EPA clean air rules – the Cross State Air Pollution Rule and the Mercury and Air Toxics Standards Rule, also called Utility MACT. The first rule will require reductions in emissions from coal-fired power plants that drift hundreds of miles downwind and across state lines. 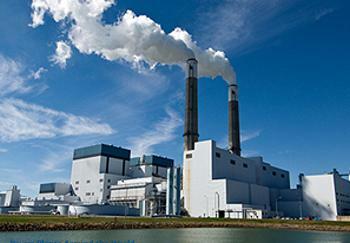 The second rule will require power plants to curb toxic emissions of mercury, lead, arsenic and acid gases by 2015. 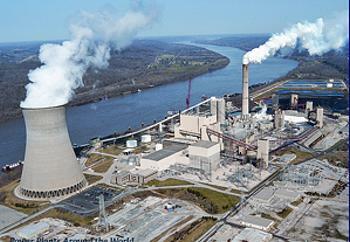 Many of the power plants impacted by these rules are more than 50 years old. The poll found that support for these air pollution rules extends across the political spectrum. By three to one (75%) the public believes that the EPA, not Congress, should determine whether stricter limits are needed on air pollution from electric power plants. This is a view supported by members of all parties, with 85% of Democrats, 62% of Republicans, and 79% of Independents in agreement. The poll was sponsored by Ceres, a Boston-based coalition of investors, environmental groups and public interest organizations working with companies to address sustainability challenges such as global climate change. 88% of Democrats, 85% of Independents, and 58% of Republicans polled oppose Congress stopping the EPA from enacting new limits on air pollution from power plants. 67% of voters polled support the Cross State Air Pollution Rule and 77% of voters support the Mercury and Air Toxics Standards Rule. 65% of voters surveyed are confident that the health and environmental benefits of air pollution standards outweigh the costs of complying with them. 79% of voters surveyed agree that the rules are important to enact for health reasons. 75% of voters polled believe a compelling reason to implement these rules is the boost to local economies and thousands of new jobs that will be created from investments in new technology. Across the country, voters support Cross State Air Pollution Rule, with 71% of voters from the Northeast, 66% of voters in the South, 62% of voters in the Midwest, and 71% of voters from the West in favor. Similarly, support for the Mercury and Air Toxics Standards Rule is high nationwide: 80% of voters in the Northeast, 75% of voters in the South, 72% of voters in the Midwest, and 83% of voters in the West in support. Voters polled see threats to water and health as the most important reasons for enacting new EPA air pollution rules. In fact, 80% of those surveyed feel it is important to enact new rules because coal-burning power plants contribute to water pollution via deposition of airborne pollutants that eventually settle in our water bodies. By a wide margin of 79%, respondents agree that the rules are important for health reasons, as power plant pollution is responsible for more than 24,000 premature deaths, 38,000 non-fatal heart attacks, and more than 550,000 asthma attacks each year. These two rules will save lives and, according to research sponsored by Ceres on the economic impact of the rules, create 1.4 million new jobs over the next five years through investments in pollution controls, new plant construction, and retirement of older, less efficient power plants as the country transitions to a cleaner, modernized generation fleet. Seventy-five percent of those surveyed believe job creation from these rules is an important reason to enact them.